The CMA-180T-S single rack high temperature straight tall dishwasher is perfect for both glassware and dishware, and has a 27" high door opening to accommodate larger items. Its "split" design accommodates sheet pans, and reduces the overall open-door height of the machine to 93 1/2", a benefit for dish rooms with low ceilings! With a 1-minute wash cycle and 1 hp wash pump, the CMA-180T-S straight tall dishwasher can clean up to 60 standard dish racks per hour. The CMA-180T-S dishwasher only uses 1.24 gallons of water per cycle, which makes it economical to operate and friendly to the environment. Upper and lower rotating wash and rinse arms provide excellent cleaning. 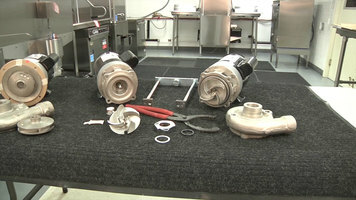 Specially designed pull-pins allow the wash arms to be easily removed for maintenance. 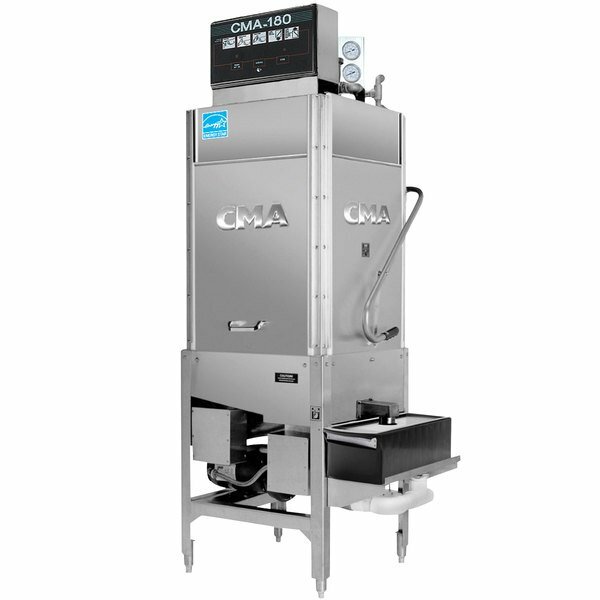 The CMA-180T-S single rack high temperature dishwasher incorporates an automatic soil purging system which traps plate debris in a removable external drawer, keeping the wash water cleaner. 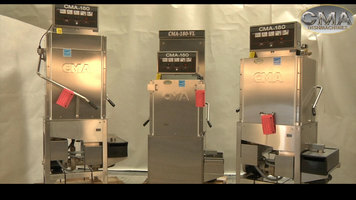 Other helpful features of the CMA-180T-S high temperature straight tall dishwasher include a water pressure regulator valve and a water tight top mounted control box with a rack counter, extended delimer switch, and easy to read controls. It requires a 208/240V, 1 phase electrical connection.